Уже в текущем году необходимо принять генеральную схему развития инфраструктуры цифровой экономики, включая сети телекоммуникаций, мощности по хранению и обработке данных. И здесь также нужно смотреть вперёд. Задача ближайших лет – организовать повсеместный доступ к высокоскоростному интернету, начать эксплуатацию систем связи пятого поколения, 5G. This year we must adopt a master plan for developing the infrastructure of a digital economy, including telecommunications networks, as well as data storage and processing capacities. Here we need to look ahead as well. The task for the next few years is to provide universal access to high-speed internet and start using 5G communications networks. Improving internet infrastructure and ensuring that all Russians are online may sound progressive. But these developments will come about in an era of unprecedented online information control in Russia. In February, two reports came out that noted a sharp, continuous downwards trend in online freedoms. Indeed, it seems that while more Russians will have access to the internet, it will be an internet governed on the state’s increasingly strict terms. One study compiled by Agora, a human rights group, lays out the different ways the Russian authorities are clamping down on individual users, social networks and online media. The most significant trend, Agora says, has been a wave of laws and regulations that force internet service providers and tech giants to “police” online content on the Russian government’s behalf. The authorities are paving the way for blocking online services that they see as catalysts for mass protests, while attempting to present this crackdown as simply a requirement to follow national laws. Delegating policing and censorship functions to private actors not only minimizes reputational damage, but also ensures more effective control and spending. Agora also notes a sharp increase in restrictions on individual pieces of content: a total of 662,842 items were censored in 2018, in comparison to 115,706 in 2017. This includes blocked websites and individual URLs, online news articles, social media posts deemed “extremist” or “inflammatory” etc. In a rare instance of good news, one of the most infamous items of the Russian criminal code, Article 282 (“Incitement of hatred or enmity, as well as abasement of human dignity”,) responsible for the majority of prosecutions for online speech, was reined in by an amendment passed in December 2018. This appears to have brought a decline in prosecutions related to online speech. However, legal experts are skeptical about the possible “liberalization” of Russian laws. Agora’s report predicts that public prosecutors may shift towards using other, less severe articles in both the criminal and administrative codes to punish dissent. This could enable them to silence individual users and organizations, while triggering less visible public backlash. Agora also notes that western IT platforms are increasingly acquiescent towards the demands of the Russian authorities, a trend that Runet Echo covered previously. Citing Google’s Transparency Report, Agora says that in June 2018 Google satisfied 79 percent of all data removal requests from the Russian government, while only 62 percent of similar requests from the US authorities were complied with. Google’s report shows that requests for content removal from the Russian government multiplied by more than five-fold in six months in 2016 from 2,045 in June to 11,164 in December. To Google’s credit, it didn’t comply with any of the 94 removal requests from the Russian government which it classifies under “Government criticism.” Google also provides some examples of the content they’re removing, and a significant part of is genuinely dangerous to the public: ads for illegal casinos scamming people out of their hard-earned rubles, violent racist propaganda, online drug markets selling dangerous substances etc. But Google readily complied with requests for removal of activist videos calling for rallies against corruption — because these rallies were arbitrarily declared “unsanctioned” and thus in violation of a pointedly restrictive law aimed at stifling public dissent. Twitter, Google and Facebook have all shown that they’re willing to remove content or make it unavailable to Russian users upon receiving requests from the Russian authorities to comply with the local laws. 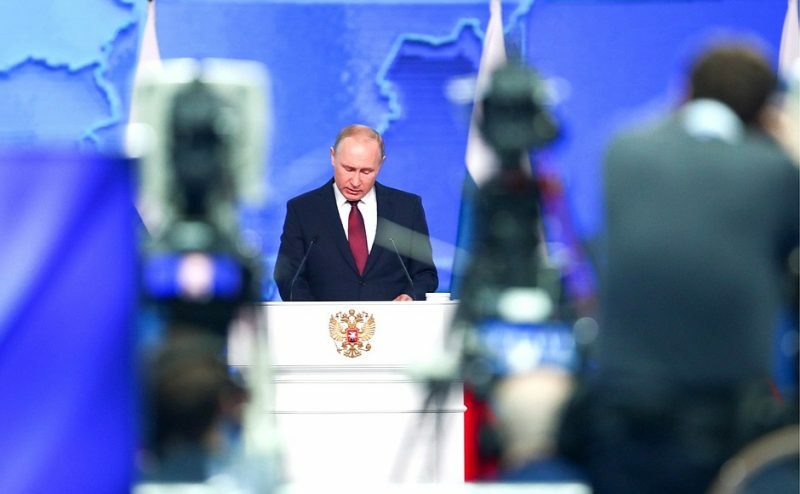 There is little indication that the companies take into consideration the exceedingly restrictive nature of some of these laws, or that they are weighing these requests against Russia’s constitution. Being associated with an “undesirable organization” — the government-mandated list also includes the National Endowment for Democracy and the Open Society Foundation — is an offence punishable by a law introduced in 2015 by a range of penalties, from a heavy fine to a prison term. Sharing a Facebook video also counts as “collaborating with an undesirable organization,” which Antonova learned the hard way. The OZI report also emphasized the potential damage of the “Klishas bill”, which came as part of the package of restrictive pieces of legislation currently reviewed by the Russian parliament. Named after its author, senator Andrey Klishas, the bill aims to create a “sovereign” infrastructure for the Russian internet, ostensibly to shield it from foreign interference. The other, an “anti-fake news” bill also co-authored by Klishas, is even more controversial and almost universally condemned by experts. Yet both passed in the first reading thanks to the overwhelming majority that the ruling United Russia party holds in the parliament. It seems that the Russian government is finally confident in its ability to control online activity — so confident that it can now offer internet access to all Russians, without fearing the consequences.